This Isn’t Horseshoes Or Hand Grenades. Built for accuracy, the White PlantersTM 9500VER Series is Precision Planting® ready with a three-section flex and forward-fold frame. The 9500VER Series’ Central Fill System (CFS) incorporates time-proven design concepts to provide an onboard bulk seed hopper and seed distribution system. The CFS allows for more time planting, rather than refilling individual hoppers, and is designed for planting corn, soybeans, milo, popcorn, and wheat. The 9500VER Series offers a full line of frame and row spacing options that let you tackle a wide range of planting applications. 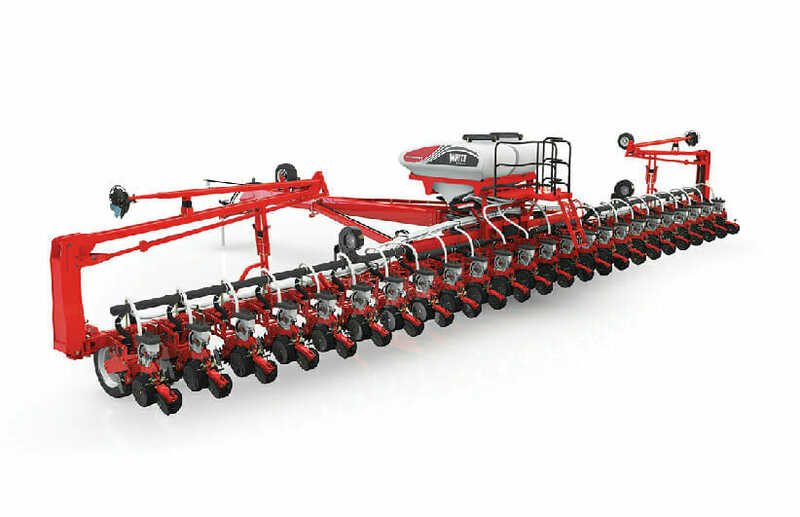 Toolbars are available as 23-row in 15″ spacings, 24-row in 20″ spacings and 24-row in 22″ spacings, making the 9500VER Series ideally suited to planting a variety of crops that include corn, soybeans, and sugar beets. When you’re ready to switch from 15″ to 30″, simply lock up the split rows and quickly change the seed discs. With White Planters equipment, changing from one crop to another is quick and simple.